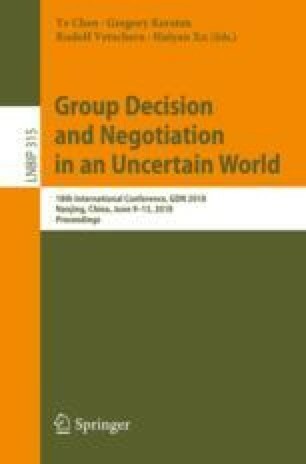 This study uses the Thomas-Kilmann Instrument (TKI) to analyze the negotiators’ predispositions in handling conflicts in online negotiations. It explores the impacts of the individual predispositions on the negotiation processes and outcomes. The results show that TKI scores are significantly related to both the efforts that the negotiators put in their negotiation activities and the achieved agreements. The results also show that the various compositions of individual predispositions in dyadic negotiations can lead to different results.